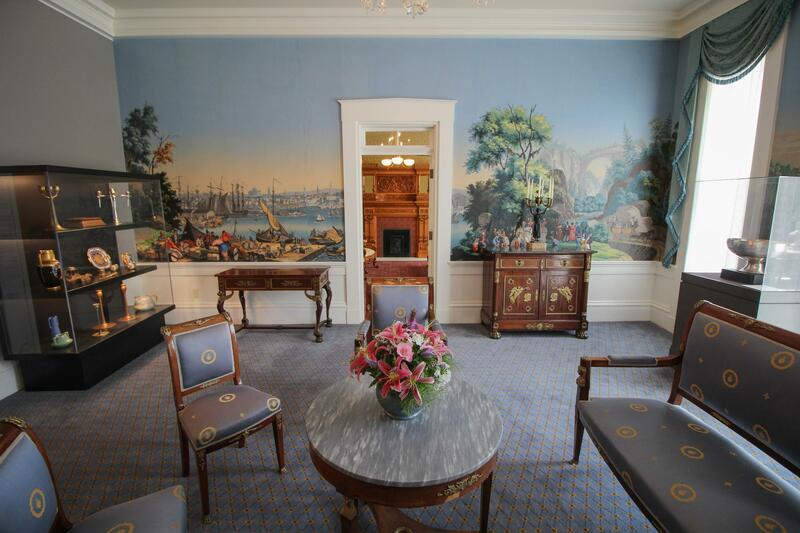 A room in the newly renovated Governor's Mansion. The official residence of the Illinois governor is one of the oldest in the country, dating to 1855. It’s been renovated repeatedly over the years, but not recently. 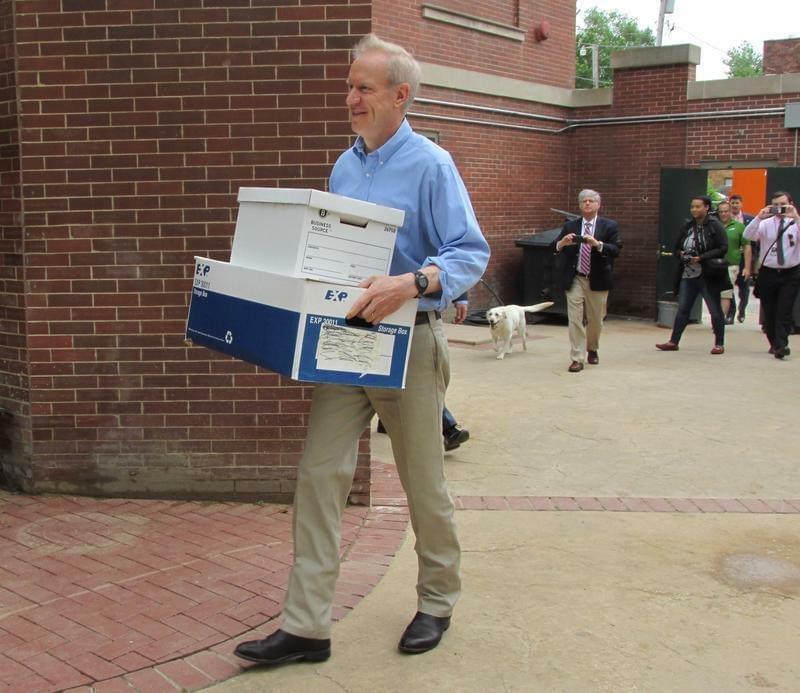 “This beautiful building, which is almost as old as our state — one of the finest governor’s mansions in the country — had really become a rotting and sad relic,” First Lady Diana Rauner said at a dedication ceremony. Near the beginning of the ceremony There was a brief protest organized by the SEIU labor union, whose members have been fighting Gov. 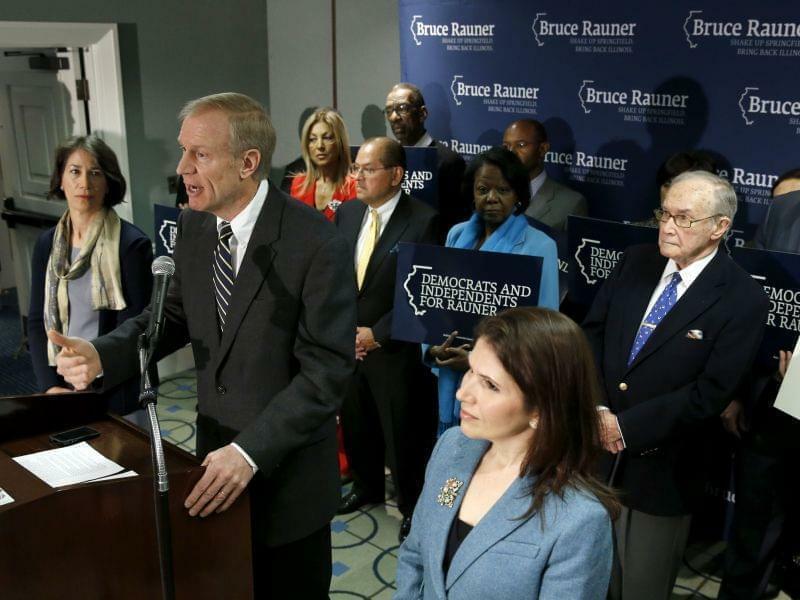 Bruce Rauner for higher wages. They demanded "money for kids and education, not for mansion renovation." Officials, however, say the renovation was paid for entirely with private donations. The renovations included structural repairs — like fixing a leaky roof and expanding stormwater drainage. It also involved the creation of a visitor’s center and making the building Americans with Disabilities Act compliant. 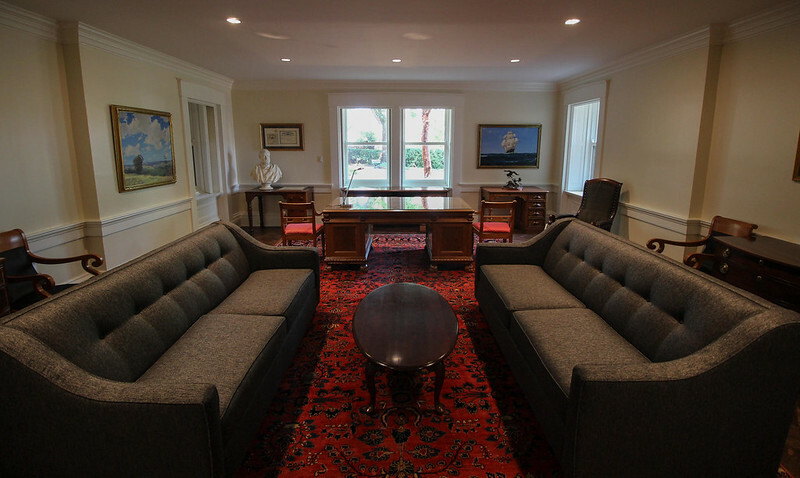 View a slideshow of the renovated governor's mansion below.